Our quality policy is to promptly, proactively, and cost-efficiently meet or exceed our customer requirements without disregard to any applicable laws and regulations within the Trading and Oil and Gas Industry. Establish, implement and maintain its Business Management Systems (BMS) tailored in compliance with ISO 9001:2015 and API Specification Q1 to continually improve the effectiveness of the quality management systems. Integrate quality management in their dealings with all stakeholders and actively seek feedback that will be used as: (1) a tool to assess the company’s performance; and (2) as a tool to address the identified opportunities for improvement. Continually empower its work team to actively participate in seeking ways to improve the company’s business processes and policies by providing them adequate resources and a proactive work environment. Ensure that every team member is responsible for the growth of their well-being and that of IRE’s. This policy is communicated and is understood within the organization and reviewed periodically, along with the established objectives during Management Review Meeting for continuing suitability. Health Safety and Environment Policy: Everyone’s health and safety is IRE’s highest priority. 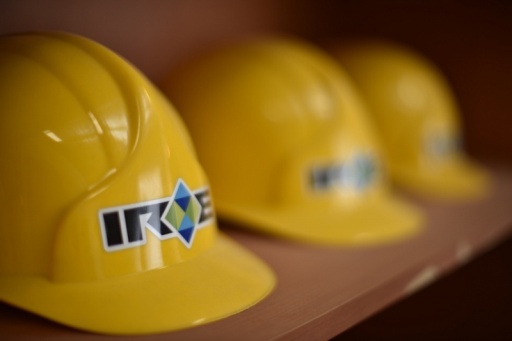 Quality, health, safety and environment are integral parts of all IRE activities. We ensure that the safety and health of our employees, customers, vendors, and all stakeholders is at the highest level in our efforts to achieve an injury free and environment –friendly workplace. To prevent and minimize work related injury and illness and to take responsibility for our own and others' safety. To operate within the limits and capacity of our resources and take time to carry out the necessary inspections and maintenance of our equipment. To proactively promote and encourage a culture where all employees maintain a safe and healthy workplace, foster fitness for work, and actively promote safe work practices. To reduce the potential negative environmental impact of our existing operations. Establish and implement measurable safety and health objectives and targets to meet these commitments and engage all our stakeholders in initiating improvement on these policies. Identify, assess and manage all risks that that are and might be present in everything that we do. Proper establishment and implementation of checks on our equipment and other resources to be regularly conducted by well-trained and technically competent workforce. Ensure that employees are engaged in company culture which prioritizes health, safety, and environment issues. Provide comprehensive induction and training on these issues. Efficiently utilize our resources and make a conscious effort in reducing the potential negative environmental impact of existing operations. Continuously review and improve our HS & E Policy by consulting, listening and responding openly to our stakeholders’ feedback.